Napa-Solano Audubon: "The Birds of Owens Lake"
Owens Lake was once a full and thriving lake until 1913 until when the water resources were diverted to Los Angeles. The lake dried up and became a major dustbowl and health hazard. Currently water is once again filling some of Owens Lake by springs and streams. A resurgence of migratory waterfowl are once again using parts of the lake as a stopover. Rich Camino of Yellowbilled Tours has been birding northern California for 52 years. Rich is inspired by adventure, finding new birding areas, birding his local patch, leading Yellowbilled Tours birding field trips and having fun along the way. Rich appreciates the value birding brings to our life and he believes that birding field study has a social component. Rich is an active field leader and conservation advocate for Marin Audubon and had served as the Ohlone Audubon Conservation Chair for 8 years. 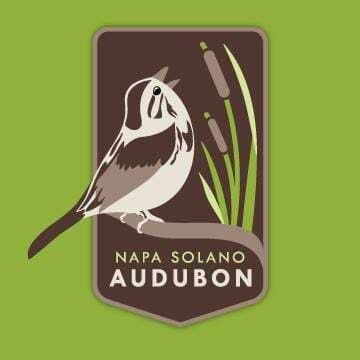 This Napa-Solano Audubon program is free and open to the public at the Fairfield-Cordelia Library Meeting Room, 5050 Business Center Drive, Fairfield.